Megan Ashley on left with Carmen Griffiths on right at Kirriemuir Golf Club. 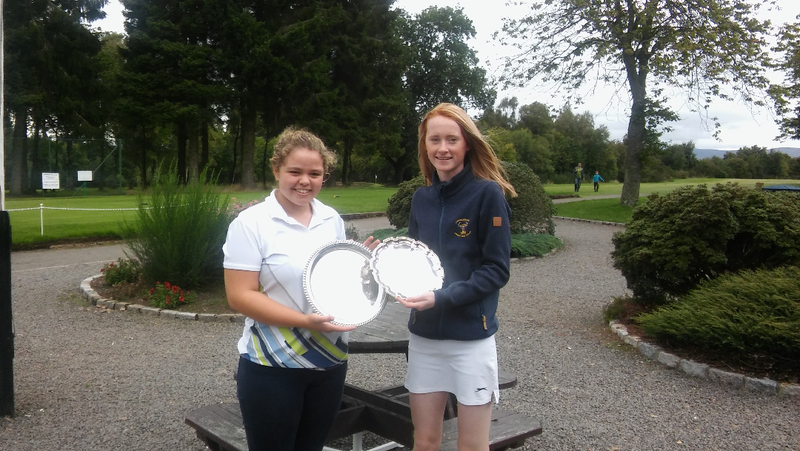 Megan Ashley (Strathmore) won the North of Scotland U18 girls golf championship at Kirriemuir Golf Club on Sunday with a one-under-par round of 72. She finished two strokes ahead of Carmen Griffiths (Aboyne) who won the Jean Law Salver for the best net return, a 73 off one of a handicap. Katy Alexander (Blairgowrie), who has a handicap of three, also had a net 73 but Griffiths had the better inward half.